Hull College School of Art & Design, one of the largest further and higher education colleges in the country, has gone into refurbishment to give the building a fresh and modern look. The refurbishment of 1970s campus incorporated re-roofing, re-glazing, internal upgrades, along with the landscaping work to improve the public realm and the routes around the campus. Due to being a school of art & design, careful consideration had to be given at the planning stage regarding the aesthetic appearance of the building to make the facilities more attractive for the students. To maximise the benefits of natural light and reduce the energy consumption of the building, Kingspan Light + Air rooflights were specified by Seven Architecture. Thanks to being a long-term partner of Kingspan and being able to offer a full roofing system compatible with Kingspan’s Light + Air range, IKO Polymeric’s Armourplan PVC membrane was specified. 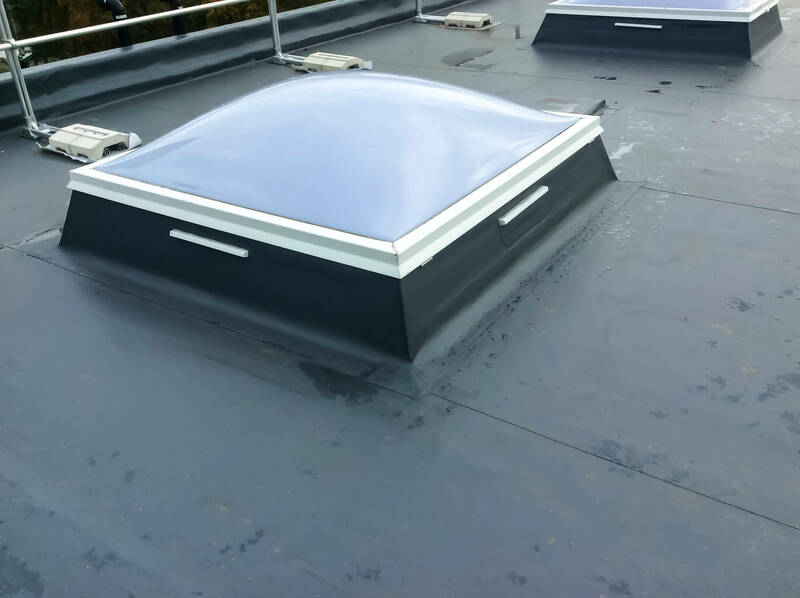 The existing felt roof was overlaid with 18mm OSB 3 timber boards and IKO Armourplan P membrane in slate grey became the choice of waterproofing. 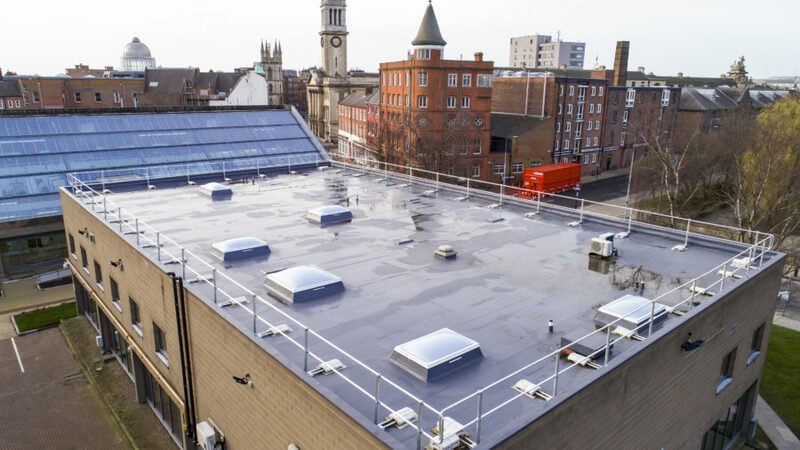 IKO’s UK manufactured IKO enerthem insulation boards were also incorporated in the roof build up which has provided the client with a 20 year system guarantee. 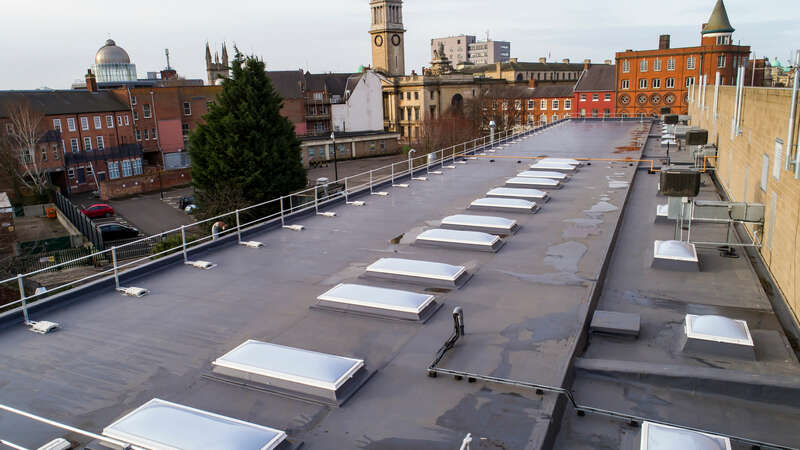 Having the full system supplied from one single manufacturer ensured on-time site deliveries and contributed to the fast installation, providing minimal disruption to the school environment.